Nutrition Labels Are Coming To Meat : Shots - Health News In about a year poultry and meat sold in supermarkets will have to carry nutrition labels like the ones already on packaged foods. For the first time consumers will be able to see at a glance how much and what kinds of fat are inside. 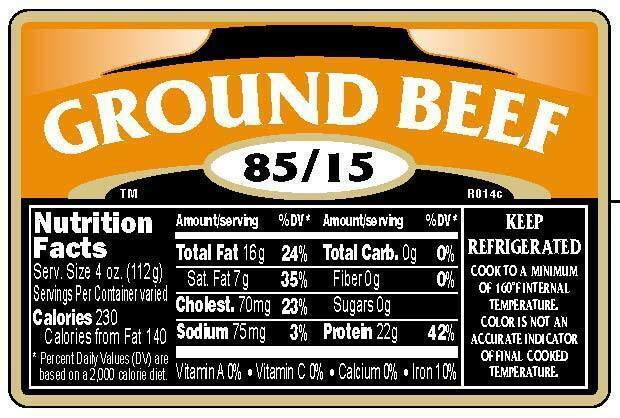 Here's the sort of label you can expect to see on meat in about a year. Well, it only took 10 years, but finally the feds have put out a new set of regulations that will require most meat sold in grocery stores to carry nutrition labels. Now, don't go badgering the butcher just yet. The new rules won't take effect until the start of 2012. That will give him and the rest of the food industry time to get their label makers ready. The labels will be sort of like the ones already on most packaged foods. They'll show how many calories and how much fat, cholesterol, and other nutrients are contained in a standard serving of that kind of meat or poultry, such as a tenderloin steak or chicken breast. Food and nutrition guru Marion Nestle told USA Today the labels "be very helpful to people who are bewildered by what's in meat." But, she predicted, "people will be quite shocked at the calories and fat." If you can't wait for the labels but are patient with the Internet, you can round up some of the nutrition information yourself. 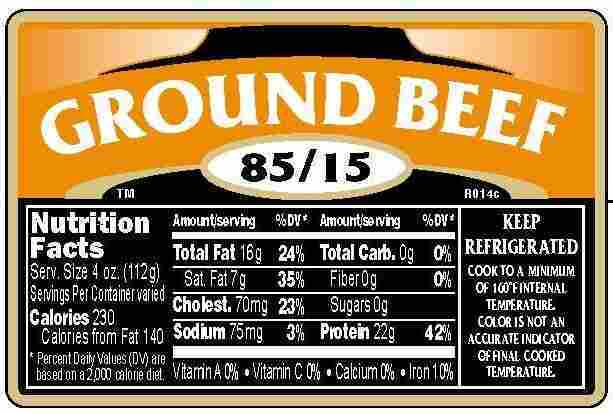 Here's a ground beef calculator the Agriculture Department's research shop devised. Or for a broader range of meats and other foods, you can search in this big but not very friendly database, also from the USDA.